A momentous school anniversary can provide opportunities to rekindle alumni relations, build connections among current students and strengthen town-gown relationships. Feature image: Aerial view of New Hampton School. All photos courtesy of New Hampton. New Hampton School will celebrate its bicentennial in 2021. We began discussing the planning for this extraordinary event when I arrived in July of 2016, and a steering committee was subsequently formed in 2017. Comprised of board members, faculty, administrators, alumni and community members, the committee has been charged with determining both the programmatic and celebratory events for the bicentennial that will honor our past and strengthen the future of the school. The ongoing challenge is determining the best ways to remain relevant, evolving programs with an eye to future generations, while being true to our mission and core values. How should we celebrate this once-in-a-lifetime milestone, beyond a large public event in June of that year? Like many New England boarding schools, New Hampton has been through a variety of iterations. The school was founded by a visionary group of free-will Baptists who believed education should be accessible to all regardless of gender, race or religious belief. That notion of access continues today as we work to fulfill our mission to cultivate lifelong learners who will become active global citizens. Our students come from 26 states and 30 countries, and nearly half of them receive some level of financial aid. Like any educational institution, the ongoing challenge is determining the best ways to remain relevant, evolving programs to meet the needs of today’s students and with an eye to future generations, while being true to our mission and core values. One primary question is, how can we use this anniversary to strengthen the school’s connections with the more than 5,000 living alumni? We want to reengage those who have been disconnected from New Hampton for a long time, make them aware of the special happenings on campus and how they can participate in this celebration and the school’s ongoing evolution. Some alumni may think, “The school today is not my school from 40 years ago.” We’re trying to be thoughtful about that by digging through our archives, studying our history and confirming the consistent DNA of the school they remember: warm, welcoming and unpretentious. 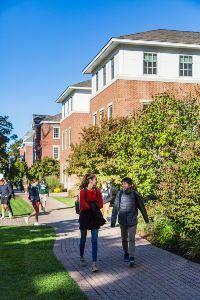 In our school magazine, on our website and through social media, we want to show how New Hampton today is similar to what older alumni experienced, albeit with new programs and enhanced facilities. And because a school like New Hampton is all about the relationships students develop on campus, we’re identifying individuals to highlight during the bicentennial. We hope they will rekindle positive memories and inspire alumni to return to campus, or participate in satellite celebrations domestically and internationally to honor the people who provided the foundation for their college experiences and professional pursuits. As for current students, we are considering an annual event around the date of New Hampton’s founding, to help them understand their place in history as well as the network of alumni that will support them after they graduate. 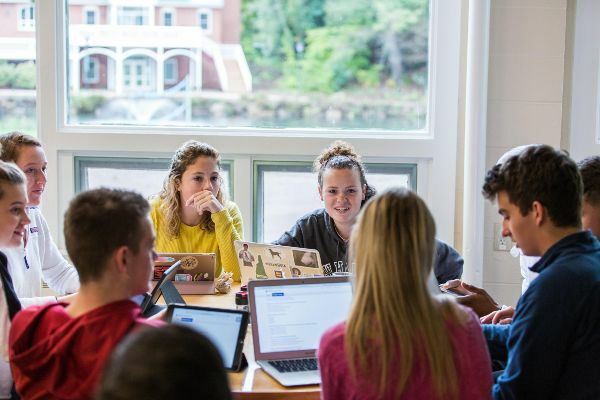 Coursework pertaining to New Hampton’s history, our biannual Hall of Fame inductions, the launch of our alum(na)-in-residence program and the introduction of an alumni council are designed to strengthen our connections and brand. And we’re developing a “partnership” or internship program where students can spend the summer or an extended break getting a taste of the professional world with parents and alumni. The bicentennial has also helped us think about the dynamic between New Hampton and the small town in which the school is located. The partnership is essential; we thrive together. We not only want to welcome the community to aspects of our celebration, but we are also considering programs that allow our students to mentor community children and provide meaningful service to our community partners. Whatever form our bicentennial celebration takes, we hope that honoring this powerful moment in our history will lay the groundwork for another successful 200 years. 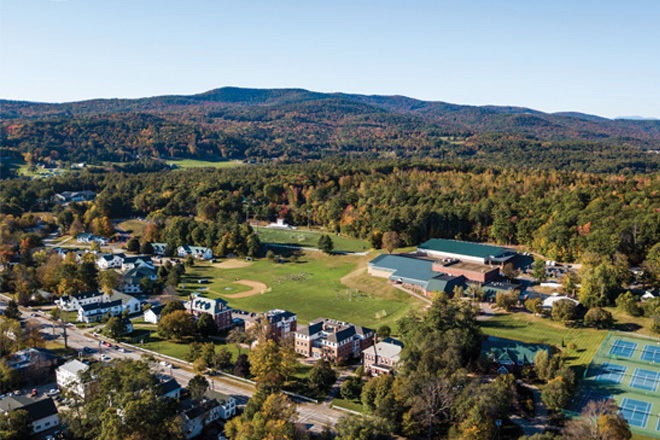 Joe Williams is head of school at New Hampton School, a grades 9–12 boarding school with 345 students in New Hampton, New Hampshire. In Mission & Motivation, an independent school leader shares a core belief and/or source of guidance or inspiration. Interested in contributing? Please email netassets@nboa.org. In the subject line, type MISSION & MOTIVATION.